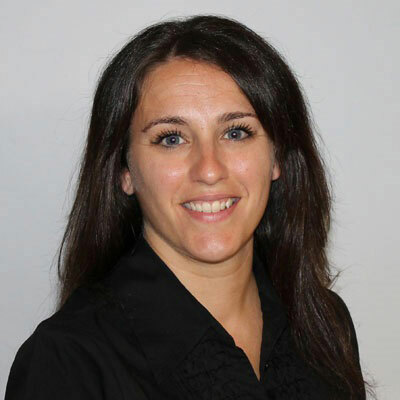 Bufalini has worked at RSA and EMC for more than 14 years, rising to director of Global Channel Operations in 2013 and taking over RSA's Americas Global Channel Marketing duties in 2015. Over the past 3 years she has led an effort to partner globally with RSA's Strategic Partners to drive awareness and message RSA's Business-Driven Security approach. Having held multiple roles within RSA's channel organization, I played a significant role in bringing RSA's channel strategy to life. This year we rolled out updates to our channel program that reward incremental growth with existing clients, incumbency renewal, and partners with strong marketing proposals. Rewarding partners who bring incremental growth with existing clients and providing them with resources so that they can thrive. We are investing a great amount of time, resources, and money into our partners. The only way this works is if we invest in each other. I've been honored to be named to both CRN's Women of the Channel List, as well as the CRN Power 100. Be confident. Having confidence in who you are, what value you bring, and the confidence to just go for it. Too often, women over-analyze and hesitate when opportunities come their way. It's an exciting place to be, both young and female in the workplace. There are so many doors that remained unopened, it just takes the confidence to take a risk. Trust in yourself that even if you trip along the way, ultimately you will learn from those experiences. I would really love to learn a different language. In my global role at RSA, we interact with colleagues and partners from all over the world. It would be incredible to be able to communicate with some of these partners in their native language. I really enjoyed 'The Nightingale' by Kristin Hannah. This book is about 2 sisters in France during WWII, and was inspired by a true story. This was just a story that really resonated with me. The sisters were absolutely inspirational. They showed incredible strength in this terrible time and I loved seeing how women contributed to the war.